To what extent should the United States have gotten involved in foreign affairs in the early 1800s? Your project must include each Presidents' perspectives regarding the extent to which the United States should have gotten involved in foreign affairs. The peace that John Adams achieved with France did not last long. In 1803, France and Great Britain were again at war. As the conflict heated up, both nations began seizing American ships that were trading with their enemy. President Thomas Jefferson, who took office in 1801, complained bitterly that “England has become a den of pirates and France has become a den of thieves.” Still, like Washington and Adams before him, Jefferson tried to follow a policy of neutrality. Impressment Remaining neutral when ships were being seized was hard enough. It became even harder when Great Britain began impressing American sailors—kidnapping them and forcing them to serve in the British navy. The British claimed that the men they impressed were British deserters. This may have been true in some cases, as some sailors may well have fled the terrible conditions on British ships. Yet thousands of unlucky Americans were also impressed. American anger over impressment peaked in 1807 after a British warship, the Leopard, stopped a U.S. warship, the Chesapeake, to search for deserters. When the Chesapeake’s captain refused to allow a search, the Leopard opened fire. Twenty-one American sailors were killed or wounded. This attack triggered another case of war fever, this time against Great Britain. Piracy American ships faced a different threat from the Barbary States of North Africa: piracy, or robbery at sea. For years, pirates from Morocco, Algiers, Tunis, and Tripoli had preyed on merchant ships entering the Mediterranean Sea. The pirates seized the ships and held their crews for ransom. Presidents Washington and Adams both paid tribute to Barbary State rulers in exchange for the safety of American ships. While Americans were shouting “millions for defense, but not one cent for tribute” during the XYZ Affair, the United States was quietly sending money to the Barbary States. By the time Jefferson became president, the United States had paid the Barbary States almost $2 million. The ruler of Tripoli, however, demanded still more tribute. To show that he was serious, he declared war on the United States. Jefferson hated war. But he also hated paying tribute. The question was, which was worse? As much as Thomas Jefferson hated war, he hated paying tribute more. In 1802, he sent a small fleet of warships to the Mediterranean to protect American shipping interests. The war with Tripoli plodded along until 1804, when American ships began bombarding Tripoli with their cannons. Then one of the ships, the Philadelphia, ran aground on a hidden reef in the harbor. The captain and crew were captured and held for ransom. Rather than let pirates have the Philadelphia, a young naval officer named Stephen Decatur led a raiding party into the heavily guarded Tripoli harbor and set the ship afire. After a year of U.S. attacks and a blockade, Tripoli signed a peace treaty with the United States in 1805. Tripoli agreed to stop demanding tribute payments. In return, the United States paid a $60,000 ransom for the crew of the Philadelphia. This was a bargain compared to the $3 million first demanded. 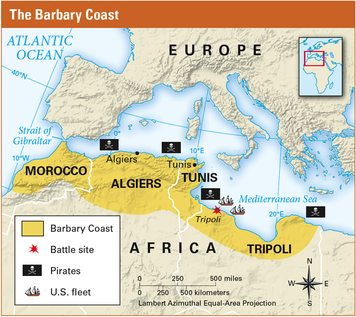 Pirates from other Barbary States continued to raid ships in the Mediterranean. In 1815, U.S. and European naval forces finally destroyed the pirate bases. Meanwhile, Jefferson tried desperately to convince both France and Great Britain to leave American ships alone. All of his diplomatic efforts failed. Between 1803 and 1807, Great Britain seized at least a thousand American ships. France captured about half that many. When diplomacy failed, Jefferson proposed an embargo—a complete halt in trade with other nations. Under the Embargo Act passed by Congress in 1807, no foreign ships could enter U.S. ports and no American ships could leave, except to trade at other U.S. ports. Jefferson hoped that stopping trade would prove so painful to France and Great Britain that they would agree to leave American ships alone. The embargo, however, proved far more painful to Americans than to anyone in Europe. Some 55,000 sailors lost their jobs. In New England, newspapers pointed out that embargo spelled backward reads “O grab me,” which made sense to all who were feeling its pinch. Congress repealed the unpopular Embargo Act in 1809. American ships returned to the seas, and French and British warships continued to attack them. You will need to come to class with questions for discussion. I will spend the first 10 minutes of class discussing these questions for this unit. 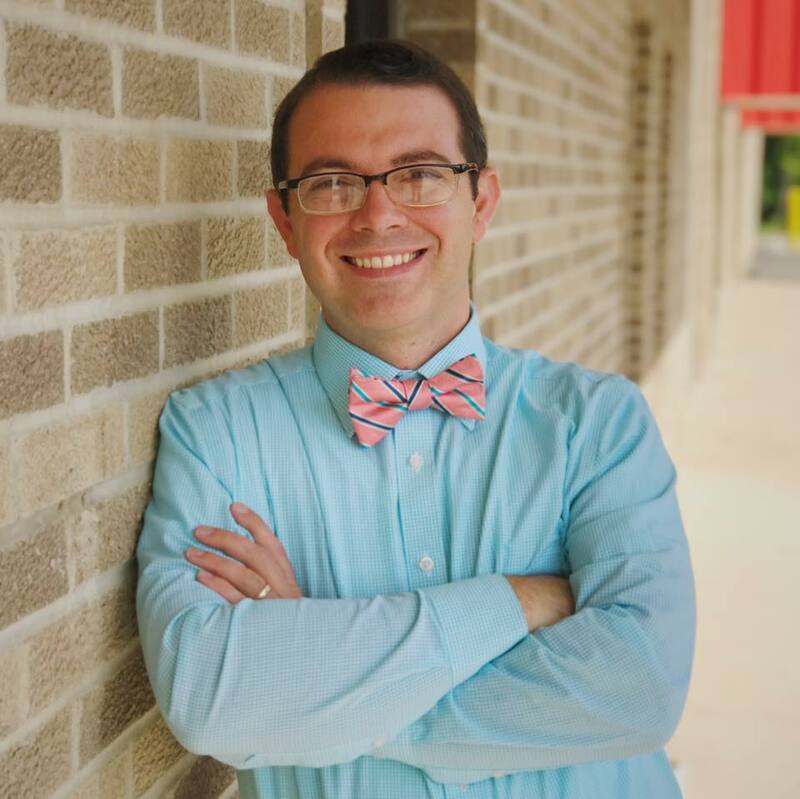 You will spend time planning out your writing, planning out your project, and researching content to create the most well-rounded project and paper possible. What was Thomas Jefferson's perspective on the extent to which the United States should get involved in foreign affairs? Do not forget that you will need to cite an online resource in your paragraph. Proper citation is expected. "Begin your citation with quotation marks, and have it end with quotation marks," (Author's Name, Date of publication, web). Notice that the period goes AFTER the parenthesis. Come to class with a paragraph written on the above question. How are you going to represent Thomas Jefferson's perspective on foreign affairs in your project? Come to class with a design of what you would like to do to represent Thomas Jefferson's perspective in your project. You will share this with your peers at the project collaboration station.